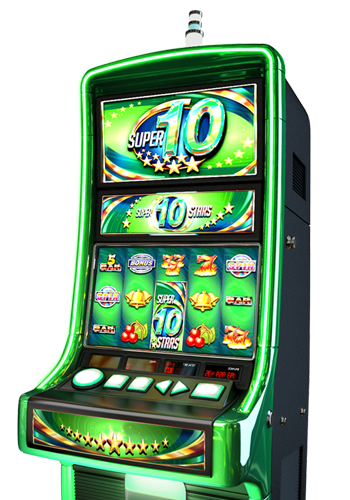 A great Super 10 Stars symbol with three different features adds to the proven fun of Super 5 and Super 7 Stars. 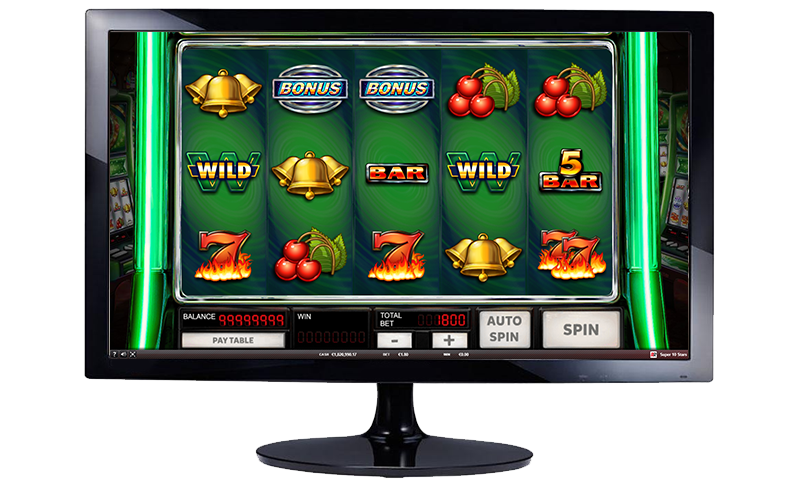 Triple your chances and win big! 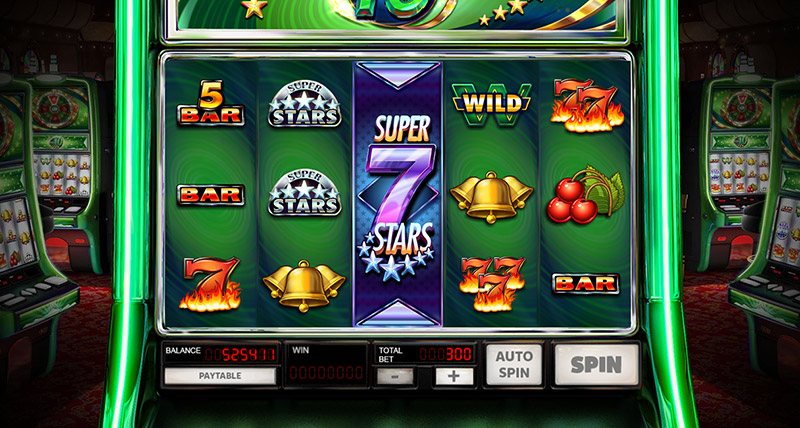 Super 10 Stars features free spins and multipliers, along with a new roulette mini-game. 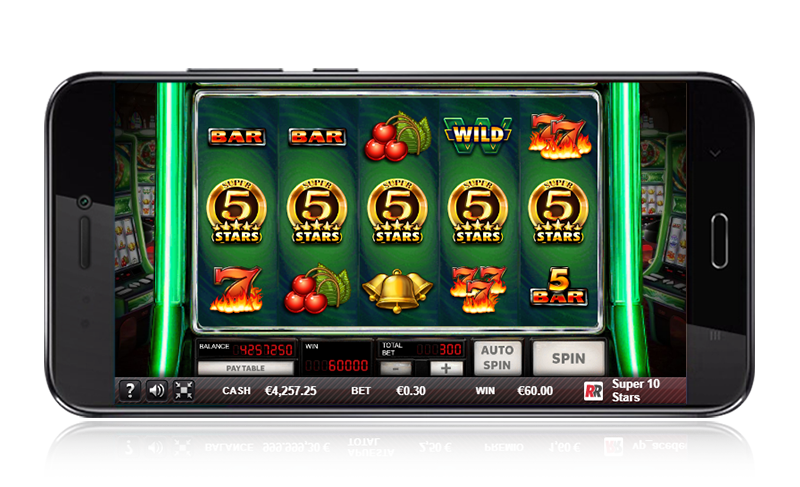 Super 7 Stars Wild Respin. Golden and Silver Scatter Multipliers. 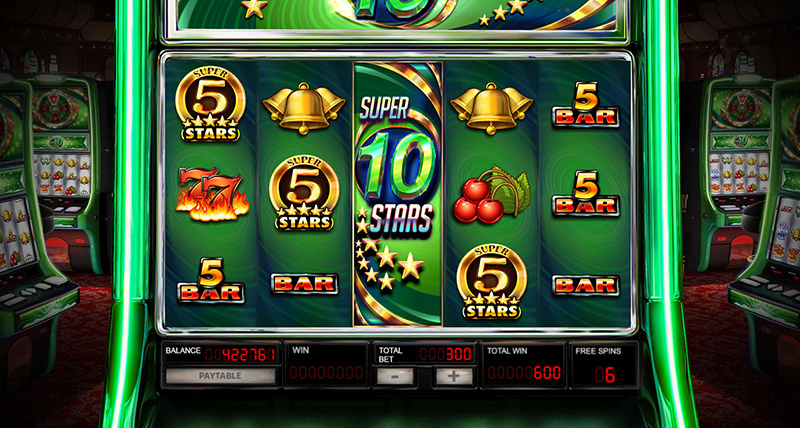 Get up to 25 free spins with the Super 7 Stars 'match-3' minigame. 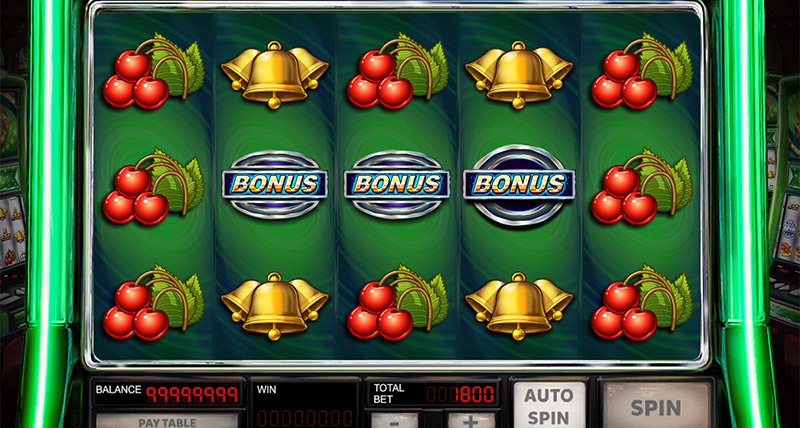 Roulette Bonus game with multipliers. 5x3 reels and 30 paylines. Spain, UK, Italy, Sweden. In progress: Portugal, Malta. It appears in the centre reel and expands to occupy it entirely, becoming a Wild. 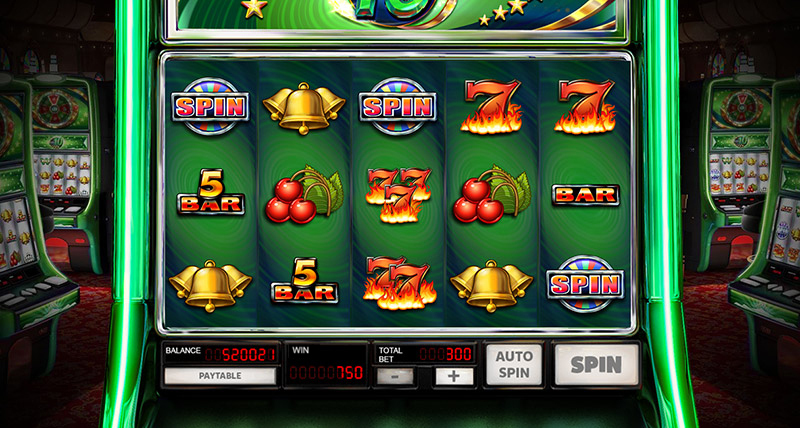 Then it remains stationary and launches a Respin on the other reels. 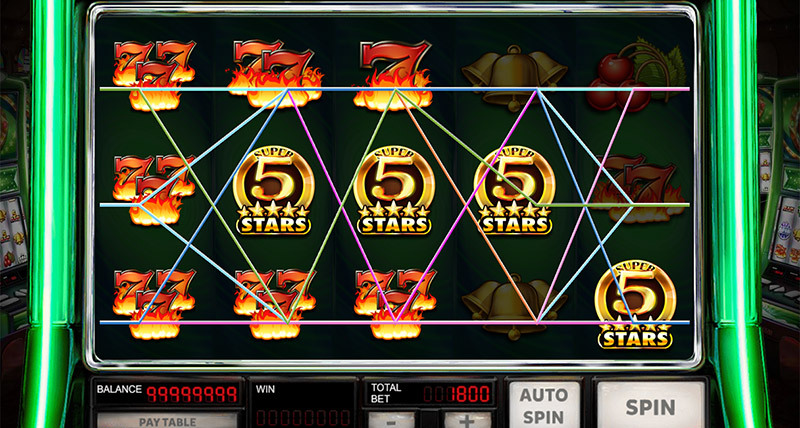 Get 3, 4, or 5 'Super 5 Stars' symbols and multiply your bet by 200. 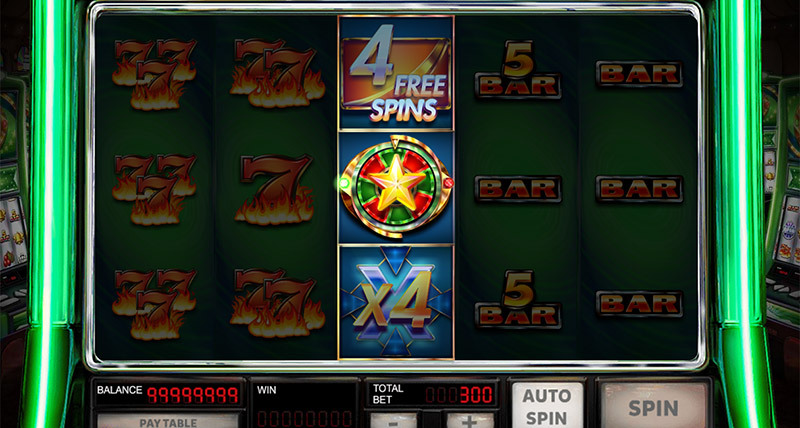 Having any 3 Bonus symbols simultaneously on reels 2, 3 & 4 unlocks the 'Free Spins Bonus Feature' in addition to the usual 'Scatter win'. 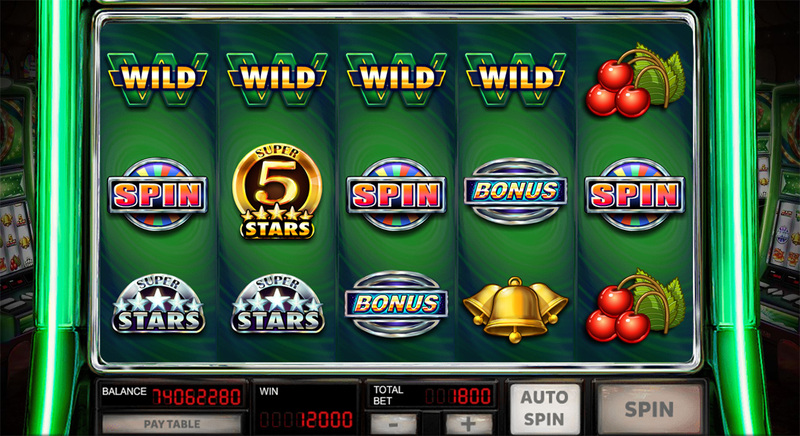 3 symbols on the wheel in any position give saccess to the 'Roulette Bonus'. The Super 10 Stars symbol launches the 'Frenzy' feature. 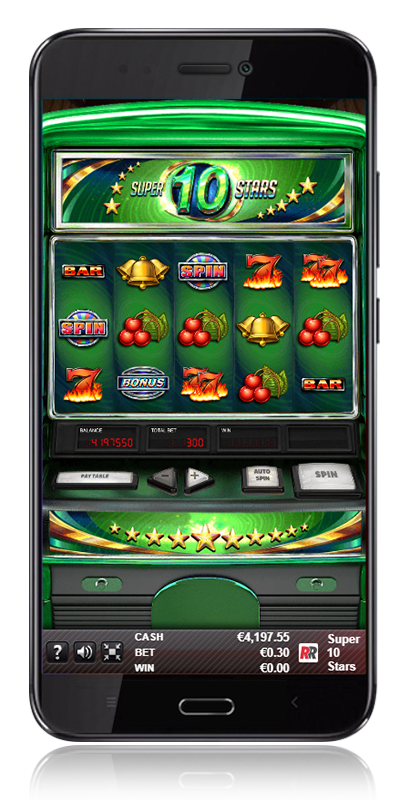 You can get instant Free Spins, multiply your bet per line or access the 'Frenzy Roulette Minigame' with the 'Super 10 Mini-Slot'. 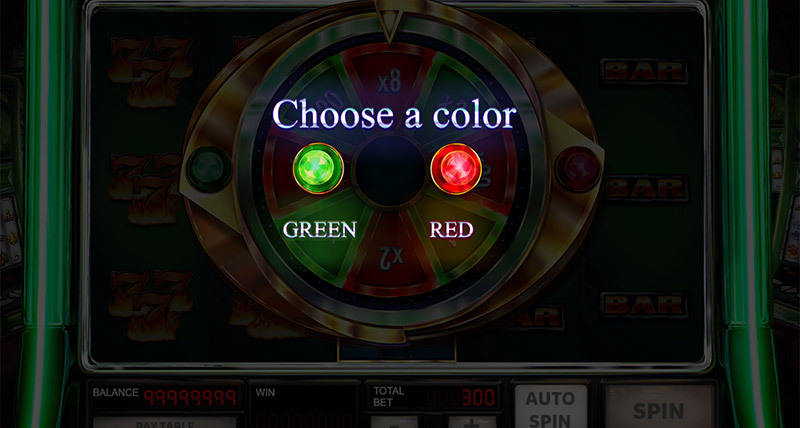 In the 'Frenzy' Roulette Minigame' you choose a colour (red or green),then the wheel will spin.